Art Historian-Museologist and Curator of exhibitions. 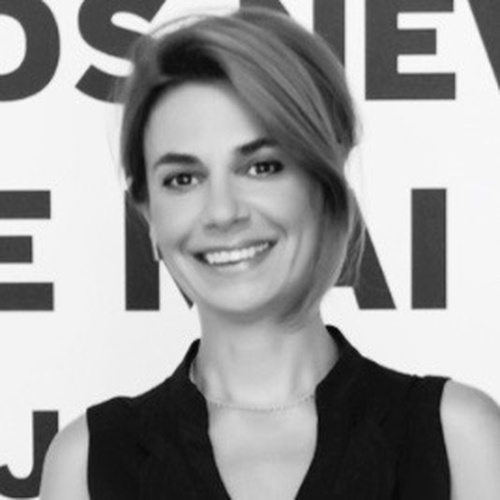 Director of the National Museum of Contemporary Art, Athens, since December 2014. Born in Corfu, she studied French Literature at the University of Athens, as well as History and Philosophy of Art at Paris I-Sorbonne University. In addition, she studied Museology at the Ecole du Louvre. She has a PhD in Art History. She worked from 1988 to 1992 at the European Cultural Centre of Delphi as a Special Advisor for visual arts. She was the Greek Commissioner at the 23rd Biennale of Sao Paulo in 1996 and at the 51st Venice Biennale in 2005, and the Director of the 3rd, 4th and the 5th Thessaloniki Biennale of Contemporary Art (2011-2015). From 1992 to October 2014 she was Curator of the Alpha Bank Art Collection. She was also Artistic Director of the J. F. Costopoulos Foundation, Athens, until the end of 2014 (1992-2014). She was President of the Board of Trustees of the State Museum of Contemporary Art, Thessaloniki, from December 2008 until January 2015, member of the Artistic Committee of the Athens METRO from 1998 to 2011, and Artistic Consultant to the Organizing Committee for the Olympic Games / Athens 2004 S.A. from 2000 to 2004. She is a member of ICOM, and of AICA Hellas. She has organized, directed, curated and/or co-curated group and solo shows and contributed essays to several books and exhibition catalogues, as well as articles in newspapers and art magazines. She was named Cavaliere dell'Ordine della Stella d'Italia and Chevalier dans l’ Ordre national de la Legion d’ Honneur.